Wilfrid Laurier University in Waterloo will turn a heritage home currently used for social events and temporary housing into a new Indigenous student centre. The project will cost $700,000 and will take 12 months to complete. 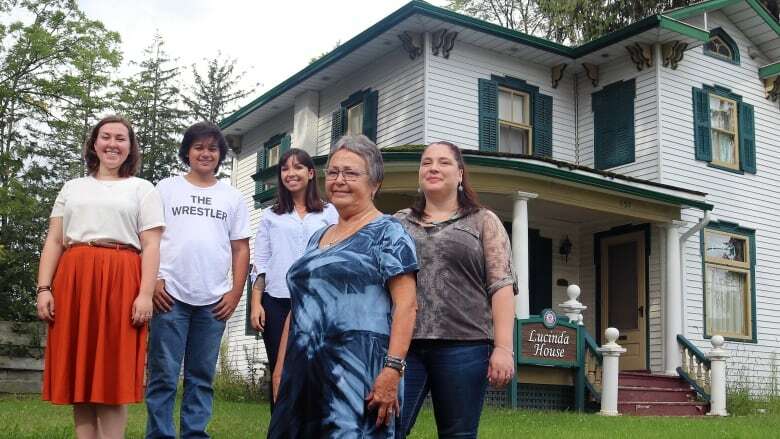 A two-storey heritage home on Wilfrid Laurier University's Waterloo campus will be renovated to become the new Nadjiwan Kaandossiwin Gamik Indigenous Centre. The 12-month project will see the main floor of Lucinda House changed to be better for public programs with improved accessibility. The location at Bricker and Albert streets will also give the centre a stronger presence on campus, the school says. Lucinda House was built in 1838 by Waterloo's first medical doctor, Joseph Good and donated to the university in 1994. The 2,200 square feet house with white siding and green trim and shutters is currently used by the university for social events and as a temporary residence for university guests. It will cost $700,000 to renovate the building. That's being funded by the Lyle S. Hallman Foundation, Wilfrid Laurier University, Wilfrid Laurier University Students' Union, and the Graduate Students' Association. The current Indigenous student centre is located in a smaller space, but Laura Manning, executive director for the Lyle S. Hallman Foundation, said in a release they were impressed by the "deep connection the students feel to the physical space." "The new Nadjiwan Kaandossiwin Gamik — Beautiful Place of Learning — will mean more access and more connections, in a space that supports pride and dignity," Manning said. Jean Becker, senior adviser of Indigenous initiatives at Laurier, said expanding the space is critical to give them better visibility on campus and provide improved services. The student centre will be open to all students, faculty and staff and will offer a space to educate and provide programming. "We want to create a place where students feel like they belong and can find support, safety and respite from the challenges of an unfamiliar environment," Becker said. "Many of our students are first-generation students, coming from northern communities or reserves where no one from their family or community has attended university. We help them to navigate the system and provide important support in an unfamiliar environment."